Yesterday Jenifer and I did a photo shoot for a national law firm based in Miami. It was a tough shoot logically due to the last minute booking when their regular photographer failed to call back. However, I think the client is happy with our performance and I think we made all we could of the opportunity to win future opportunity from this firm. During the shoot we photographed 3 attorneys new to the firm and 1 that will most likely be hired (yesterday was his final interview, sounds like he is expecting an offer). In addition, we did photos of the partners for a national ad and to update their website. Below is a photo I grabbed while we where switching between partners for an environmental headshot. 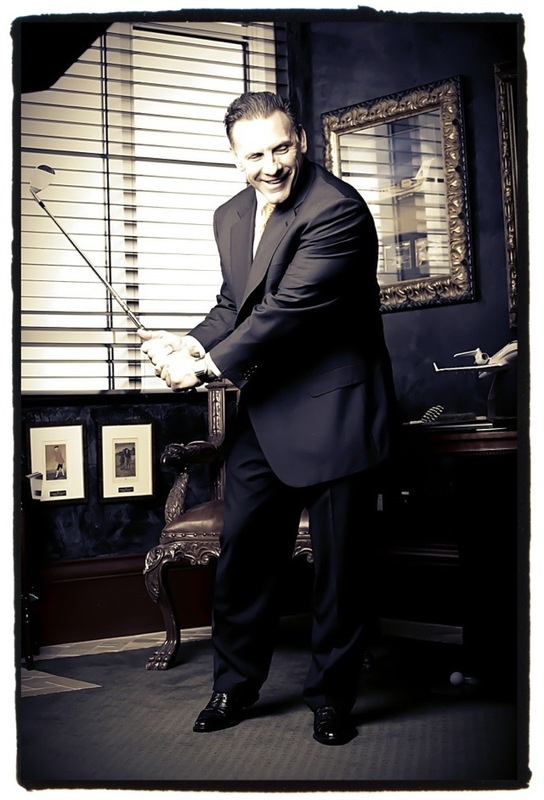 This entry was posted in Digital Photography, Photography sessions, Portfolio and tagged Business portrait, golf, law firm. Bookmark the permalink.